"Translation of the name: 'Wiener' this word comes from the word 'Wien', which is the Austrian city called Vienna. 'Schnitzel' means basically meat in a crust. I'm German and hope you can understand my English description. 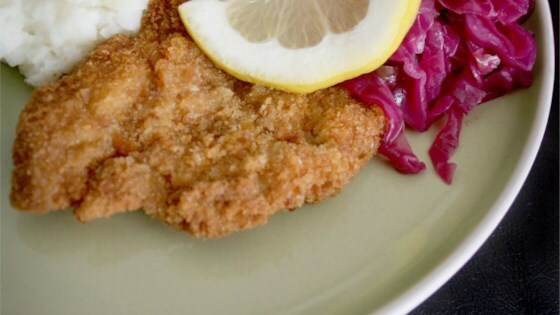 Serve the schnitzels with salad, ketchup and French fries."